Best way to get to PNC Park, #1) The Gateway Clipper. The Gateway Clipper folks have a fleet of inland riverboats that run folks from Station Square to the outfield entrance of PNC Park. The fee is reasonable and free for kids under 6. You can usually park in the West Lot at Station Square cheaply, so long as there isn’t a special event going on. Clippers begin carrying passengers over two hours before the game starts, and begins return trips in the 7th inning until a half hour after the game (or ½ hour after postgame fireworks or kids running bases). The lines for the return trip can get long afterwards, so be prepared. The Clipper is a fun and novel way to get to or from a ballgame; it’s also a cool romantic thing if you’re so inclined. Station Square is a happening spot, with stores, restaurants and hotels and a railroad car that can take you up the Monongahela Incline for a spectacular view of Pittsburgh. Just try to get on the earliest boat, because they’ll sometimes wait until a boat is full before sending it, and this has made people late for games in the past. Marketing fail: website address should always be dockside! 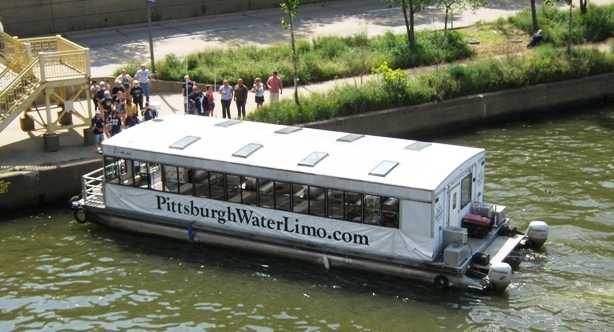 Best way to get to PNC Park, #2) Pittsburgh Water Limo. 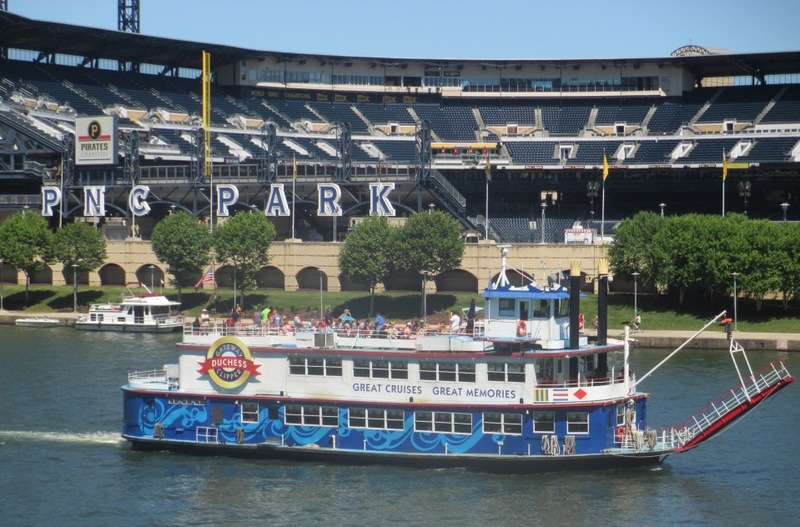 Coming from the Strip District area (east of the ballpark on the North Shore), Pittsburgh Luxury Cruises rows boatfuls of fans to Pirates games on weekends. Prices are reasonable, and you can park for free or inexpensively at the Lockwall One Marina. Reservations are recommended; it only holds 49. Three boat rides run a half hour apart starting 65 minutes before each game; boats start returning passengers to the marina starting at the 7th inning stretch and continuing a half hour after the game. They’ll also run boats after fireworks or a concert. As if all that wasn’t cool enough, you can buy a beer or glass of wine on the boat, and probably cheaper than it would be inside the ballpark. The Strip District is another happening part of Pittsburgh with eateries and nightlife. If you’re doing the whole ‘Burgh experience you can have breakfast at Deluca’s, ride a boat on the Allegheny and take in a Pirates game. Great for romantic outings if your other can stand baseball (and even my wife can do that in Pittsburgh). Featuring a solar-powered station, for further carbon footprint reduction with your baseball! Best way to get to PNC Park, #3) Ride your bicycle (or rent one). PNC Park isn’t a bad ballpark to two-wheel it; there are bicycle paths near the park, including a scenic route along the waterfront. Cyclists can use any of the bridges that connect the North Shore to Everywhere Else in Pittsburgh except for the I-579 Veterans Bridge. There are ample bicycle racks on Federal Street on the east side of the ballpark. An organization called Bike Pittsburgh features a map of trails and dedicated bicycle lanes in the city on their website. If you’re using a car/bicycle combination, Bike Pittsburgh suggests parking for free at Washington’s Landing north in the Allegheny and using the North Shore Trail straight to the park. 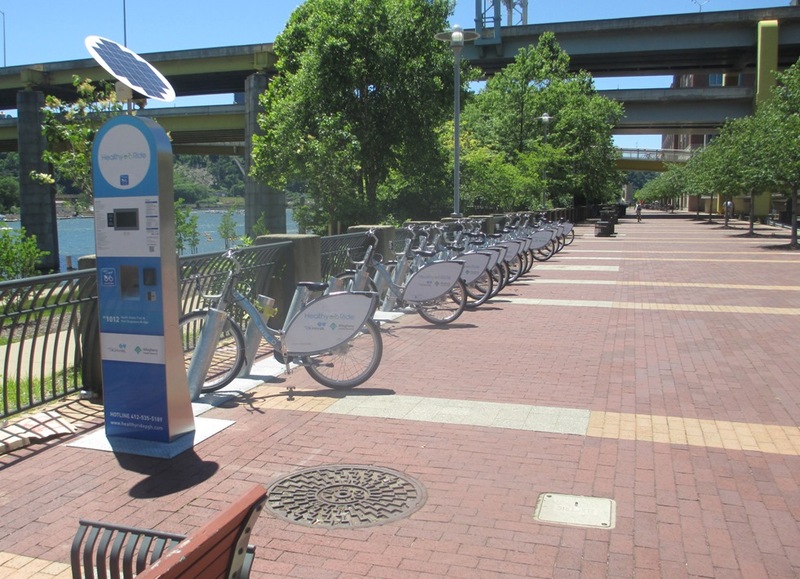 You also have bicycle rental options in Pittsburgh; for a small fee, Healthy Ride bikeshare members can take a bike from various stations throughout the city and return it to another station. Healthy Ride a few stations close to PNC; one is right at the ballpark at Federal and Isabella. You could also use the station on the North Shore Trail, a very pleasant ride along the waterfront, or Fort Duquesne and 7th if you’d like to walk across the Clemente Bridge for the amazing view. From what I’ve read in reviews of Healthy Ride, which weren’t always flattering, it’s definitely a good idea to get everything set up as far as accounts and such before trying this. Nothing like having the right of way in downtown. Best way to get to PNC Park, #4) Take a rickshaw. 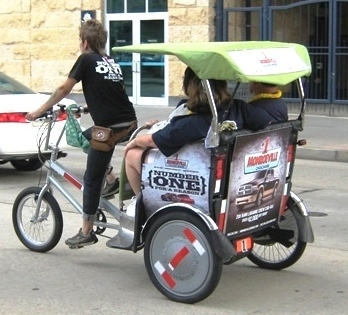 For a novel way to avoid traffic, save gas, and be eco-friendly, Green Gears Pedicabs will pedal you in a bicycle rickshaw to PNC Park and back from most downtown locations. Just call them and tell them where you are, and they’ll send one. You can even bring a reasonable amount of cargo, and the nice part is that you don’t have to wait for the driver on the phone in front of you to get moving. Up to three can ride in a Pedicab, and the price is fairly reasonable for the experience (parking would be cheaper, but just saying), although they would probably like you to tip. Baseball fans talk glowingly about the view in PNC Park, and rightly so, but I consider the multiple ways to arrive at the place a great plus too. 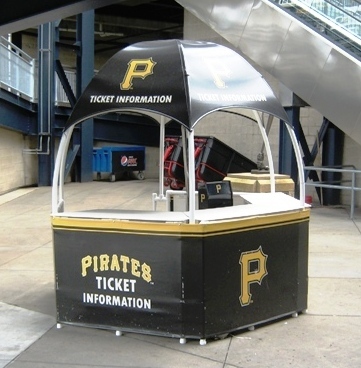 For your next visit to PNC, try an unusual way to get there and experience more of a great city.